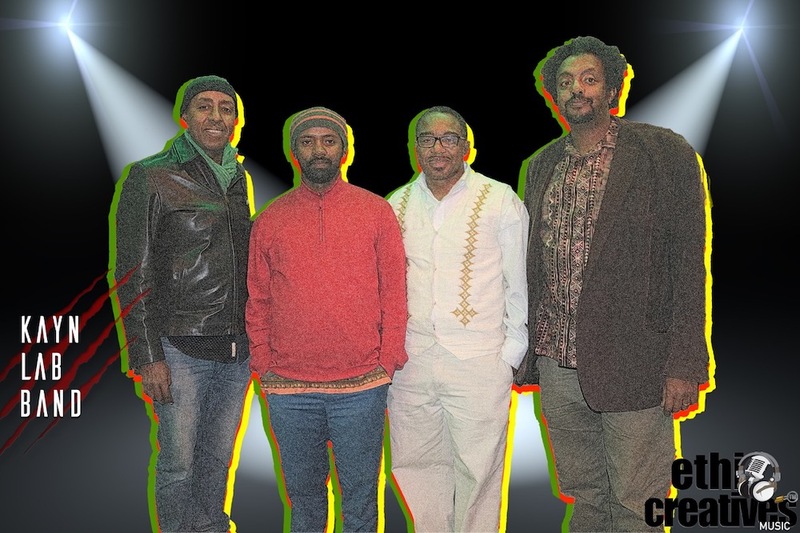 through the night life of Addis with their soothing sound and groovy style of music. “The band, well I call it kind of a who is who of musicians. Best bass guitar player, best drummer and best keyboardist. So it really is all in one and it’s really fun to play with them.” said Jonovan Cooper who is from North Carolina, USA. He is the founder of the band and he has been playing the Saxophone with KAYN LAB Band for almost three years now. “The venue is the best venue I’ve seen for artistic work in particular.” continued Jonovan “It’s hard to find a place where people actually appreciate artistic events but it is very much appreciated here and that’s something special.” said Mr. Cooper when talking to EthioCreatives. Jonovan has been here in Ethiopia for seven and half years. His way of playing the saxophone is just breathtaking, literally. His fusion of western Jazz with Ethiopian unique sound is refreshing to say the least. You can tell he knows his craft pretty well and he controls the audience with his undeniable passion for Jazz. He is almost done with his solo album too, we can't wait. “This project is kind of a writing laboratory. We‟re just experimenting with the music..umm, a lot of things that I'm doing now is trying use Ethiopian Elements in to the Jazz and to even take it further adding classic elements to it. So it’s a lot of things that we‟re trying to accomplish here. We‟re trying to think of something new regarding creativity.” concluded Mr. Cooper. KAYN LAB is an experimental Jazz fusion band that focuses on new arrangement of the western Jazz characteristics with Ethio-Jazz flavors. 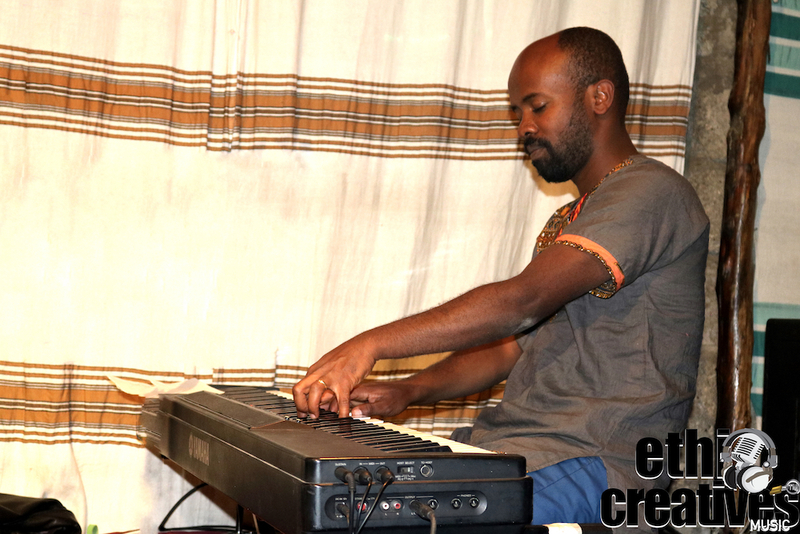 “The band plays different types of experimental Jazz fusions.” said Abiy W/Mariam who is a keyboardist in the band. He is one of the founding members of the band. His knowledge of music is visible when he is on the keyboard. He directs the band‟s whole direction with sounds that are easy to follow keeping the audience interested. 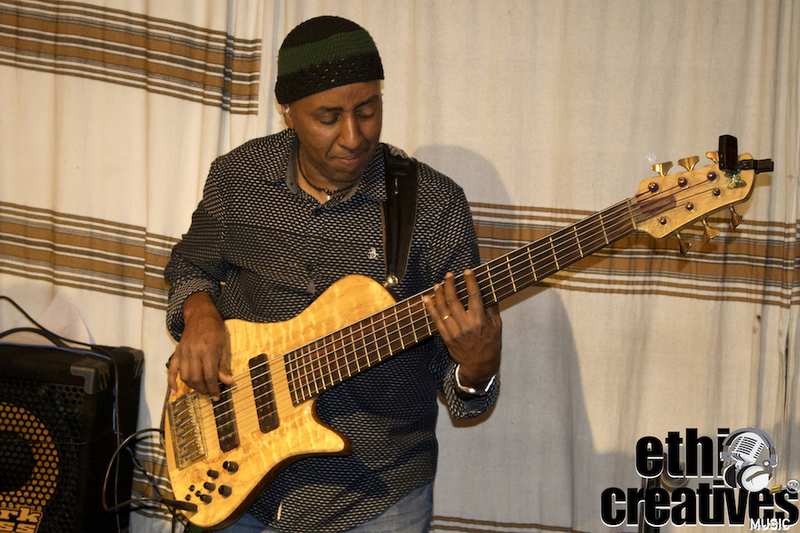 Henok Temesgen is a well known bass guitarist here in Ethiopia. He is one of the best musicians in Ethiopia right now and a lot of people agree with that statement. You can see his passion starting from the first note until the last one. Missing a key is something that can never happen in this band anyway so its easy to imagine the music quality when you hear “Henok on the bass guitar” We asked Henok what makes it special performing live every Monday at Fendika. Teferi Assefa who plays drum and percussions in the band makes it seem very easy to play a drum. He puts on a show and it is effortless. Teferi‟s transition from one song to another song is as smooth as a butter on a jelly. His chemistry with the band is on full display when he starts to play the music. 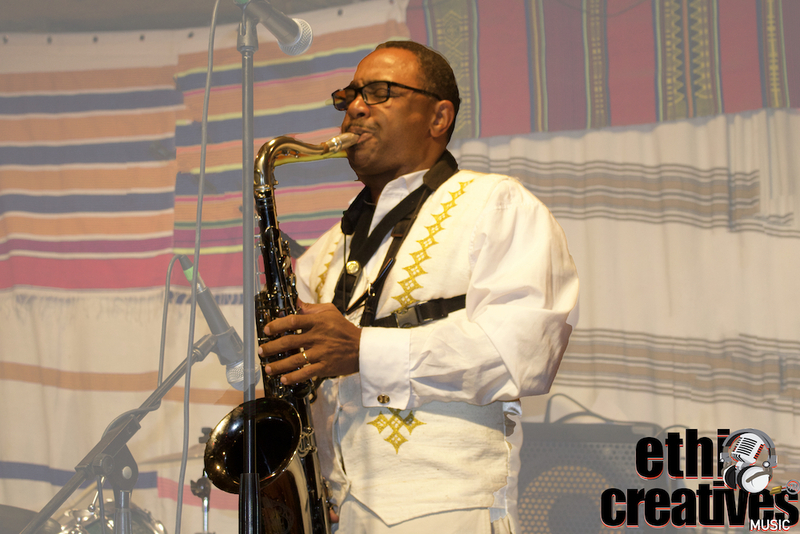 Teferi also performs every other Friday at Fendika with his own band by the name Negarit Band. Negarit is becoming a very known band around Addis. Their fusion of Jazz and Ethiopian flavor with traditional dance is captivating. Making it an event not to be missed. 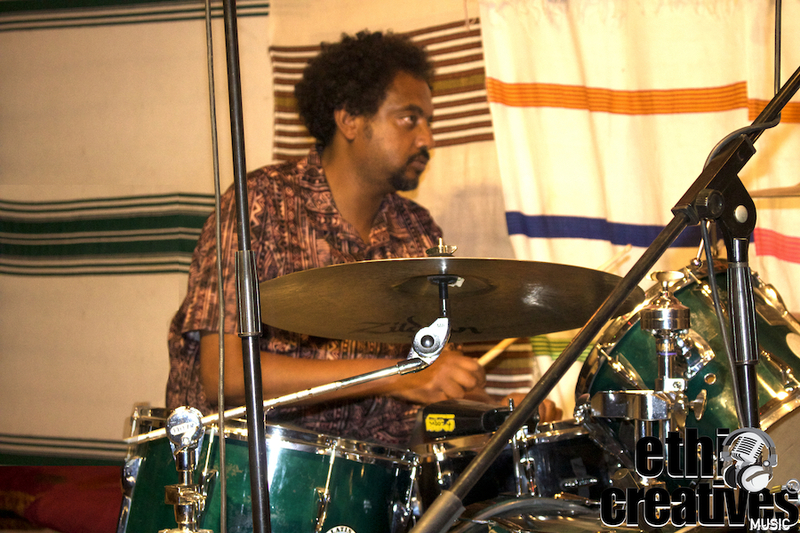 Overall , KAYN LAB band is one of Ethiopians profound group of people doing what they love. Whether they rehearse a piece or if there are artists in the audience who wants to jam, they always rise up to the challenge and deliver a sound with their own character. If you close your eyes while they are performing, you would feel a feeling you have never experienced before. You feel your soul taking a ride floating with the rhythm, taking each breath with the melody, using the keys as a parachute for a smooth free drop from the space and the drum & percussions bringing you back to reality safely. You connect. Check the experience every Monday at Fendika starting from 8pm. You won’t regret it. We would like to thank KAYN LAB band for talking with EthioCreatives.